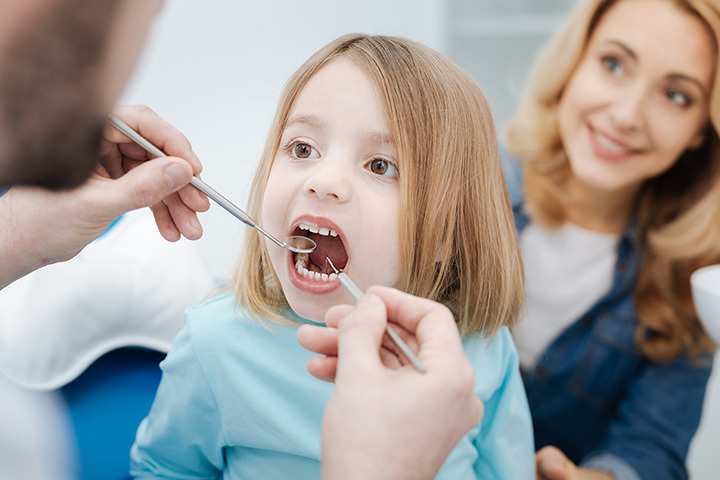 Going to the dentist can sometimes be a frightening or unsettling experience for children. The sounds, sights, and smells can often be overwhelming and scary. Luckily if you are in Indiana, there are some awesome pediatric dentists to take your children to that make the experience less frightening, and make going to the dentist a fun experience! Here are the 10 best kid friendly dentists in Indiana. The mission of Indianapolis Pediatric Dentistry in Indianapolis, Indiana, is treating your kids like their own. They pay attention to each patient’s needs and here at IPD, the friendly staff take time to make sure your child is comfortable. Every step is explained, and children get to see firsthand what’s going to be happening before it happens. When children leave, they can’t wait to come back! From the moment you walk in, Southern Indiana Pediatric Dentistry is determined to make your child feel as safe and as comfortable as possible. Their office is specifically designed for children to help them feel comfortable and relaxed as they are having procedures done. Their goal is for patients to look forward to coming and having fun each and every time. Dr. Matt and his staff take time to listen and address concerns of both the parents and children, and leave both parties with a lasting, positive impression. The Kids’ Dentist in Crawfordsville, Indiana, has been creating a positive and welcoming environment for children and all their dental needs since 1986. Using state of the art technology, including a “wand” for numbing, Dr. Winn and her staff are focused on providing an amazing experience for young ones and showing them that dentists are our friends. Here at Sanders Pediatric Dentistry, it’s all about putting the patients and families first by treating them with respect in a friendly, Disney-oriented atmosphere, and as unique individuals. Dr. Sanders is also very community minded and helps with the Joseph Maley Foundation, the Indiana Hemophilia and Thrombosis Center, as well as Riley Children’s Hospital. Here at Sanders, you will enter as patients and leave feeling like family. Fishers has been named the top place to relocate to for work and to raise a family, so it makes sense that the Children’s Dental Center would be the place in Fishers to take your children for all their dental needs! Open since March 2007, the Children’s Dental Center has been providing children and their families with quality service and making the experience of going to the dentist fun for the whole family. It’s even been said the Children’s Dental Center is more fun than the local Chuckie Cheese! Dr. Michelle and Dr. Bradley take pride in their work and establishing trust and confidence in each patient. Here at the Hoosier Pediatric Dental Group in northern Marion, Indiana, there are four things that are most important in making your child’s trip to the dentist a positive and memorable experience: a fun environment, compassion, patient learning, and excellence. Dr. Joshi and Dr. Rector make your child’s visit to the dentist fun, relaxing, and a learning experience. Make sure to ask Dr. Joshi about his infamous Scooby-Doo stories! Your children will leave smiling every time. Having recently relocated to a new office on the south end of Kokomo, another great place to take your children is Family and Cosmetic Dentistry with Dr. Melissa Jarrell and her amazing team. Providing compassionate, high quality dental services with the latest technology, Family and Cosmetic Dentistry is one of a kind. The office is painted in warm, comfortable colors that instantly calm even the most nervous of patients when they walk in. They also offer cozy blankets, cable TV in every room, and relaxing music with headphones during your procedures. What more could a kid ask for? Head to northern Valparaiso, Indiana, for your child’s dental needs this year and visit Growing Smiles Pediatric Dentistry, where they provide extraordinary care along with integrity, honesty, and compassion. Each patient is given personalized, quality care and treated as if they were one of their own. Dr. Corns believes in establishing trust and informing her patients of what’s happening before it happens. Everyone is friendly and welcoming at Growing Smiles, and your children will look forward to coming back! If you ever find yourself in West Lafayette and in need of a good dentist, be sure to visit Dr. John Bozic. For over 30 years, Dr. Bozic and his staff have been providing the Tippecanoe and surrounding area with excellent dental care, particularly when it comes to children. Dr. Bozic and his staff take the time to explain to your child each procedure, and make it a fun experience in the process. Your child might come in with a frown, but Dr. Bozic will turn that frown upside down in no time. For a positive dental experience for your child, Growing Grins is an excellent option. This office, with its flowered walls and light environment, makes it easy for your child to visit the dentist. The professionals here provide high-quality care to children and teens of all needs. At Growing Grins, they strive to understand each child’s comfort zone, they provide care for every age, and apply a “tell-show-do” technique, describing the procedures in phrases appropriate for the child’s developmental level.